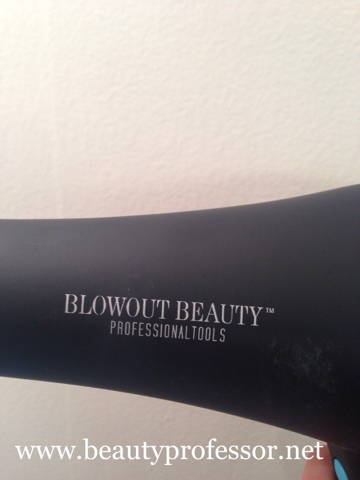 Beauty Professor: Blowout Beauty Professional Hairdryer Review! Above: The Blowout Beauty boasts 50MPH airspeed! 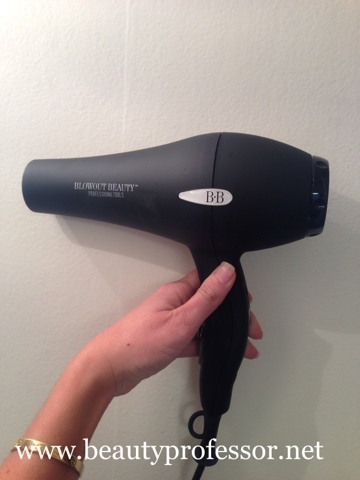 I recently had the chance to try the Blowout Beauty Professional Tools Hairdryer, currently exclusive to online retailer, Hair Envy (a sister-site to the ubiquitous DermStore). I am happy to say, that this product may have transformed my loathsome thoughts on the act of drying my hair! Until this point, I have been using the BaByliss Pro Tt dryer, which I picked up after loving the one in my hotel room at the Mirage in Las Vegas (how often does that happen?! ); this dryer has definitely served the purpose...I am not one to go through hairdryers like I go through foundations or lip color, so it's been a permanent item in my bathroom. 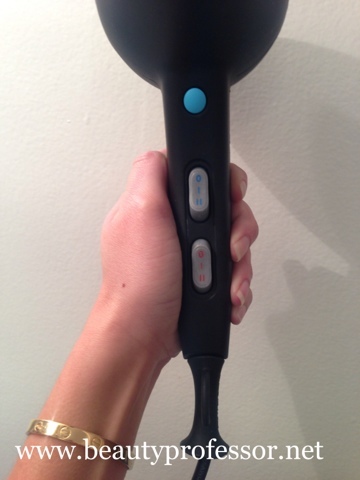 It doesn't have to be loud to be effective—that's the mantra of this super powerful, yet surprisingly quiet hair dryer. BLOWOUT BEAUTY's Ultra Power Hair Dryer boasts innovative and technologically advanced features, allowing for optimal results with minimal damage. This blow dryer, expertly crafted in Italy, projects an airflow that reaches up to 50 MPH, along with multiple speed settings and heat options, including a cold shot button, for maximum shine. Extremely lightweight, durable and easy to use, the Ultra Power Hair Dryer also features a 9-foot cord, an exceptional long-lasting AC motor and a removable air intake filter for convenient cleaning. Powerful airflow, lightweight AND quiet...what is not to like?! 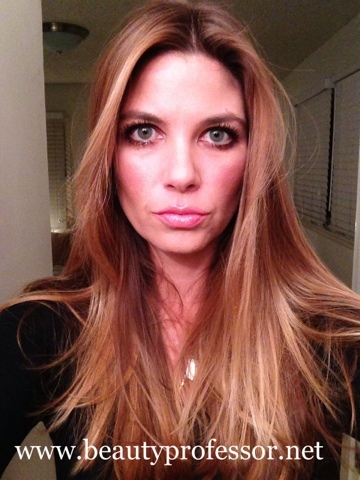 Above: The Blowout Beauty is substantial and sturdy, yet relatively light! The Blowout Beauty is an extremely well-crafted product...it feels substantial and sturdy, but isn't excruciatingly heavy. I had no problem whatsoever, using this dryer to completely dry my very long, thick and weighty head of hair. In other words, my arm was not the slightest bit tired from holding the dryer for the 12 minutes or so that it took me to complete the process...for being so powerful, it is not heavy! I am really impressed by the quiet sound that this dryer produces...yes, there is a remarkable amount of air being forced out of the unit, but no, it isn't inordinately loud...this is amazing! It is definitely quieter than my BaByliss and the sound it does transmit is on a "lower" scale tonally, than the high-pitched shrill sound that is usually associated with hairdryers. Finally, my hair dries quickly!! In 12 (versus my usual 17-20) minutes, my hair goes from a sopping wet catastrophe to a smooth, gleaming mane of biblical proportions (e.g., crowning glory etc.). This time-saving element is perhaps what makes this dryer most appealing. If I can spend less time doing something that I probably will never grow to enjoy, then this is a wonderful arrangement, indeed! Above: The casing of the dryer is a sophisticated matte black that is resistant to annoying fingerprints and other smudges. Above: The Blowout Beauty has speed and heat options for every hair type. I like to use the most powerful (II) and hottest (red) setting and find that my hair dries quickly, while still feeling healthy and balanced. 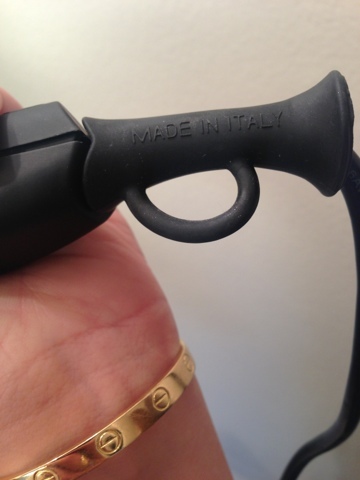 Above: Oh, and lest I fail to mention, this dryer is made in Italy! The following three images show what my hair looks like after 12 minutes with the Blowout Beauty...aside from my standard shampoo and conditioner, there are no other styling products involved! 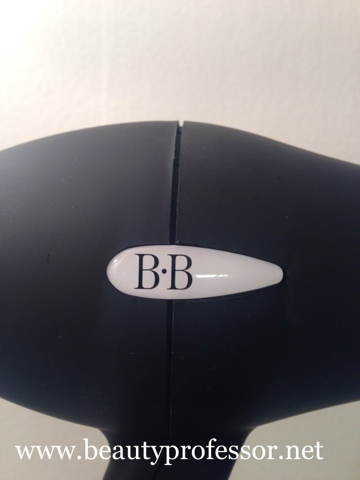 Bottom Line: I am so excited to have been introduced to the Blowout Beauty...it is a truly remarkable hairdryer; it is well-made, quiet and extremely powerful, all the while yielding dry (in a good way!) and healthy hair. As of today, it is on sale on Hair Envy, so take a peek if you are interested in trying the latest innovation in the hair drying process! Just bought it! Was on the market for a new one :) your hair in the after shots looks amazing! Copy and paste Janine's comment for me! LOL! I have a cheapie hairdryer. My hair is...hard to describe. I have TONS of it. It's quite gray and coarse. I get it professionally colored. Did I mention that there's TONS of it? Your hair is so beautiful. Thanks for sharing this find. Thanks, as always, for stopping by! I can completely relate to the "tons of it" hair situation...it makes drying it quite an endeavor, no?! Much appreciation for your kind compliment about my hair!! Thank you so much, Miranda!! This dryer is really fantastic...just about to go use it now ; ) You are so right...drying long hair is a mundane drag to say the least. Why thank you, Liesl!! 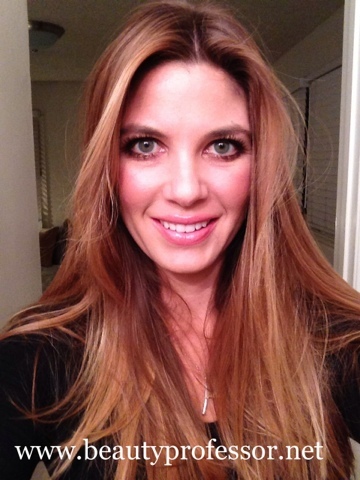 i just dried my hair in 10 minutes tonight...it is freezing (for California!) right now, so I was really happy this dryer is so powerful! Wow that is some beautiful hair!! I'm so jealous! Today this little gem is on sale for $50. It's the Deal of The Day through the DermStore or HairEnvy. Can't wait to try it. I found you running a search for this dryer and your hair looks awesome! 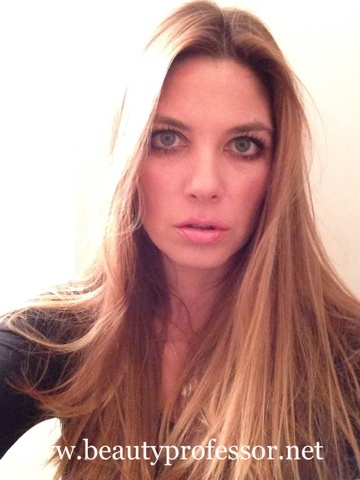 I take hair supplements like Vitamin B and Biotin and airdry as much as possible. I also sleep on a silk pillowcase.